Welcoming 3 bedroom holiday home to sleep 7. 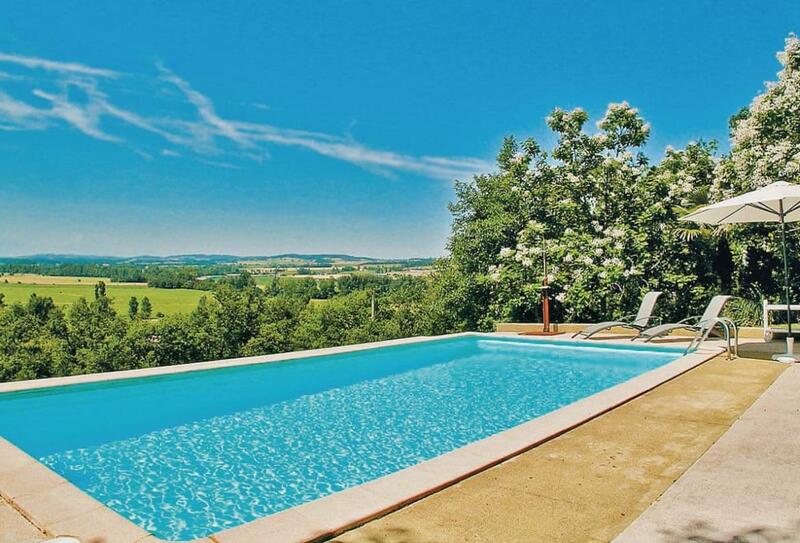 Ideally located near Mirande, Midi-Pyrenees. This holiday villa offers a brilliant private pool to relax, play and soak up the sun! Cot available. Highchair available. Pets not accepted. This holiday property is a former ’bergerie’ enjoying outstanding views of rolling countryside which stretch as far as the Pyrénées. The elevated setting is blissfully peaceful - and so this is just the most perfect spot to unwind. Behind the rustic exterior lies a bright and largely contemporary interior with an excellent fitted kitchen area. To the side of the cottage is a covered area for dining outdoors. The delightful owners live in the main house and keep the grounds well maintained. In their absence, you have the pool and grounds to yourselves. A slight slope leads to the pool, located below, and offers breathtaking views of the valley and the Pyrénées. By the pool, enjoy a sauna for 8 people (on request). The house overlooks a 9-hole golf course which can be accessed directly. Please note: Sorry, no hen or stag parties. Location: 2km from 9-hole golf, 7 km SE of Masseube (all facilities, weekly market), 8km from recreational lake at Seissan, 30km S of Auch (county town, 18-hole golf), 85km SW of Toulouse airport.